Are you an investor? Click here! Backyard Grannys offer modern living and lifestyle solutions designed to optimise the space in your backyard. 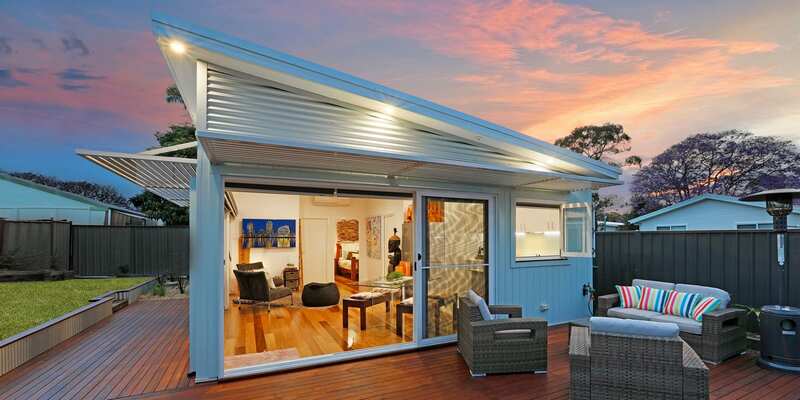 Backyard Grannys was established through the well-known, reputable building company, Nulex Construction, a Newcastle based builder with a solid track record of providing our clients with excellence, quality and reliable service every time. After numerous enquiries for granny flats and considerable market research, we identified a gap in the market that allowed us to call on our existing knowledge and passion for building and establish Backyard Grannys to service this market. Since this point we have developed a sound reputation for being the leading granny flat builders in Newcastle and the Central Coast. We have designed and built over 400 granny flats across the Newcastle, Hunter, Central Coast and Sydney regions and have developed a range of contemporary designs to suit every client’s unique budget, lifestyle and property requirements. Our team is committed to providing our clients with a high quality, professional service that is built on quality workmanship and integrity. Each project that we undertake is completed to the highest standard, using the highest quality materials and is designed to achieve the ultimate return on investment. Because we only build granny flats you can be assured that we know the industry inside out and have vast experience delivering a wide range of granny flats to suit a unique range of client needs and requirements. Sloping sites, tight budgets or custom designs are not a problem for Backyard Grannys as we are flexible throughout the build process to ensure that your desired result is achieved. Whether you are an investor looking to unlock extra rental income, a family looking for more space to accommodate children or elderly relatives, a business owner needing an office at home or are simply looking for an extra entertaining area, Backyard Grannys have a design to suit you. Feel free to browse our blog to see past examples of jobs that we’ve completed and get some inspiration for building your own granny flat.